You’ll find a car for every possible budget at Suntrup Kia South. To makes this a possibility, we make sure to keep a stock of affordable used cars under $15k. 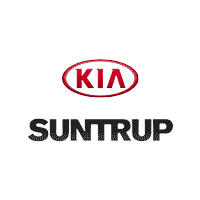 For the best used car deals in the St. Louis area, turn to Suntrup Kia South. From Kia models, to a variety of other models, you’ll find excellent budget-friendly options in our extensive inventory. Before visiting us, you can apply for financing and begin the process of driving back home in a car you love. For cheap used cars near Oakville, turn to Suntrup Kia South for the best deals.